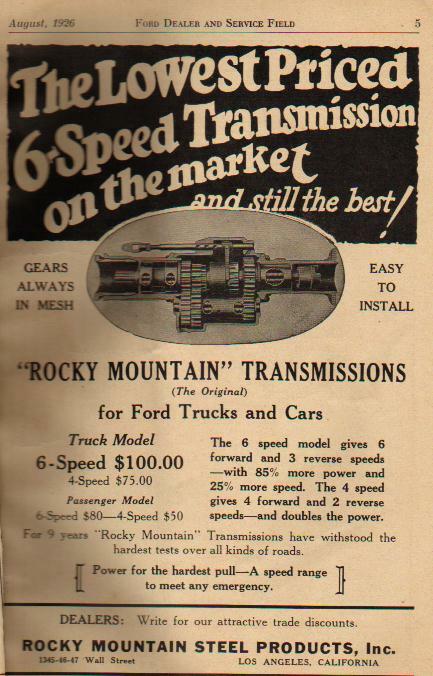 Just obtained a Rocky Mountian 6 Speed Transmission. It has been in storage for over 30 years. I want to tear it down to inspect it so that I can install and use it. I have no idea how to disassemble it or to service it. If anyone happens to have a service manual or even a parts break down it would be a great help. I have not had any luck looking on the internet. in you "Google" box, hit "enter" and you will be rewarded with some links to search for information. Mark I have a rocky 6 speed, good luck. I took mine apart best I could and was really pleased with mine - in very good shape. I think I have a blow up view of the parts? if I can find it. Might be wrong, but I well look for it. Have not been able to use mine yet, but hopefully next year! Just take it apart....I found mine to be quite straight forward. No need for manuals. Hyatt rollers throughout. Only issue is the shifter mechanism...trying to find one or make one. Thanks for all your advice guys. Dave I have tried to Google for information sorry to say I haven't found any repair information, several posts about the trans and it sounds like it might have been a good choice back in the day. Tom , if you should happen to come up with a parts breakdown that would be Great. It for sure would be the most info I would have for it. Dan that's a great post for the ad. I am going to print it just so I have something about what I have. As I said before I do not know anything about what I have so anything that you guys have would be great. Thanks Dan. At least I have a idea of what one looks like torn apart now. That's alot more than what I had before. I hope mine will look as good once I get it apart.